Welcome to the homepage of the Veterans’ Legal Assistance Program (“VLAP”) Externship at SIU School of Law. 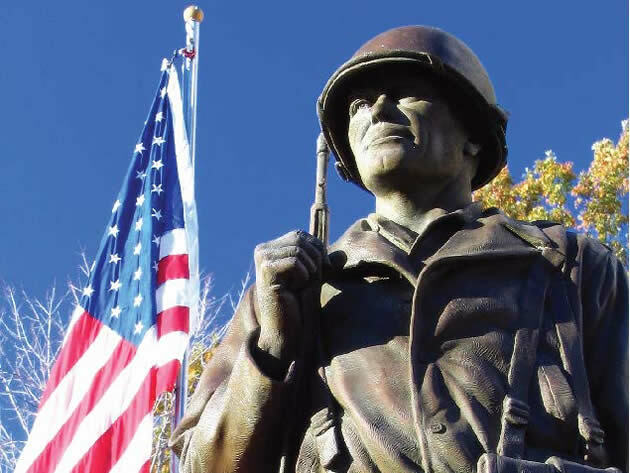 The VLAP provides pro bono legal assistance to veterans in southern Illinois who cannot afford or do not have access to legal representation in the appeals of claims for compensation for service-connected disabilities; and petitions for the upgrade of other-than-honorable or bad conduct discharges for military members with posttraumatic stress (“PTSD”) or victims of military sexual assault (“MSA”). The VLAP program also provides referral services for veterans with other civil legal challenges. Students who desire to participate in the VLAP program are required to take the course, Introduction to Veterans Advocacy, VLAP Externship, Law 675 §004, for 2 – 3 credit hours, which includes a weekly 1.5 hour classroom component the first semester of participation in the program. In addition to the classroom component, students are required to complete extern hours by assisting veteran clients in the appeal of denied disability claims and petitions for discharge upgrades. 1. The student will become familiar with Title 38, USC, Veterans, and will apply various sections in research, writing, and advocacy for veterans filing appeals in disability compensation claims before the Department of Veterans Affairs, and petitions for discharge upgrades. 2. The student will have the opportunity to represent veteran clients in appeals of disability compensation claims before various levels of the Department of Veterans Affairs and the Court of Appeals for Veterans Claims. 3. The student will expand his/her research and writing skills through a comprehensive memorandum covering the factual and legal issues presented in a disability claims appeal; coordinating the administrative forms to pursue the appeal; and outlining a course of action to succeed in the appeal. 4. The student will improve his or her ability to learn from face-to-face interaction with clients and gain experience in representing a client in a claims appeal. For additional information on participation in the program, or to request legal assistance with a V.A. disability claim or discharge upgrade contact the VLAP at (618)453-8280, or email to: vlap@siu.edu.